Headaches have numerous causes from a hangover and stress or dehydration to more serious issues. Around 20% come from the upper neck and shoulders. Typically they refer into the forehead, the eyes and the back of the head. Exercise and manual therapy are very effective in treating headaches of this type. All of these factors can prime the body to pain and injury. A thorough assessment will determine if there is one main cause or whether there is a combination of factors. The back of the head is made up of the base of the skull and the upper neck joints and muscles and is complex . Pain at the back of the head can therefore have several causes. Muscle tension (from the muscles running to the back of the skull/upper neck). These areas can all be irritated by excessive muscular stress and/or a sudden load on the area, for example from whiplash injuries. Factors such as stress, and or lack of sleep, can leave the body more prone to pain in this area and prolong both the pain experience and recovery time. These factors will be discussed as required in your assessment and treatment. Many other factors that are not related to muscles joints and nerves can also cause head pain. A comprehensive physiotherapy assessment will help to rule out other possible causes of pain in this area. Where other causes are identified, onward referrals may be made. Once all factors have been considered a comprehensive treatment plan will be discussed and and agreed upon between you and your therapist. 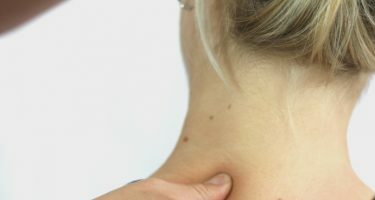 Pain at the side of the head can be caused by the upper neck joints, particularly the upper 3 leve ls of the neck, via a nerve called the trigeminal nerve. Strain on these joints can refer into the side of the head. This pain is often affected by the posture and movements of the neck. The upper neck can also be strained by sudden jolts to the head and neck, like in a car accident or from a heavy fall. This can refer pain to the side of the head. The jaw can also cause pain. Specific muscles around the jaw can lead to pain as well as the jaw joint itself. Several factors can influence this, including stress and sleep disturbance. Jaw pain can also be influenced by the upper neck joints and tension in the muscles causing stress on the area. Other problems, such as dental problems, can lead to jaw pain. Teeth grinding at night or jaw tension caused from stress may be relevant and a suggestion may be made to see your dentist.